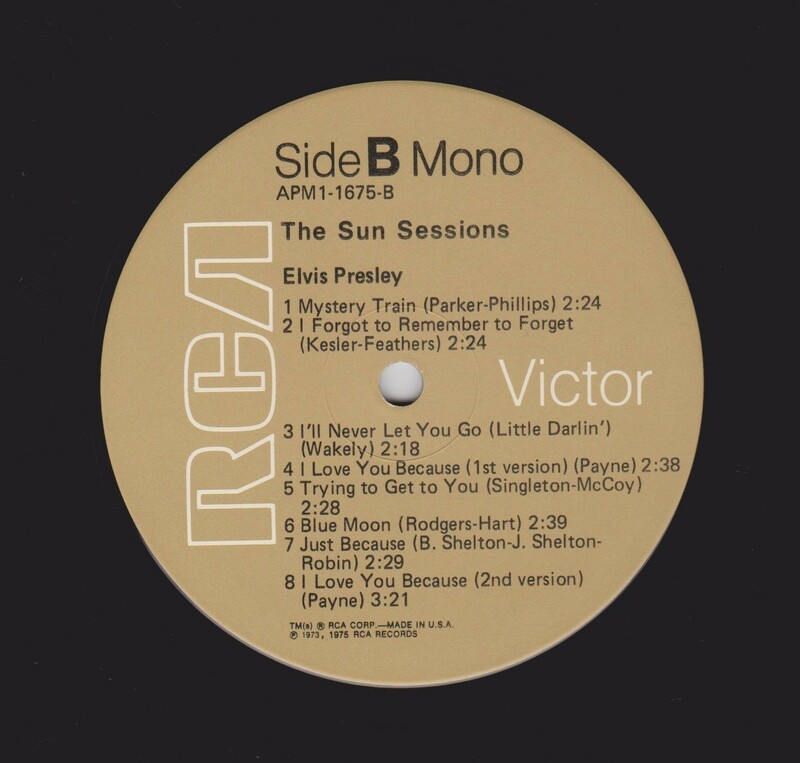 The Sun Sessions is a compilation of Elvis Presley recordings at Sun Studios in 1954 and 1955. 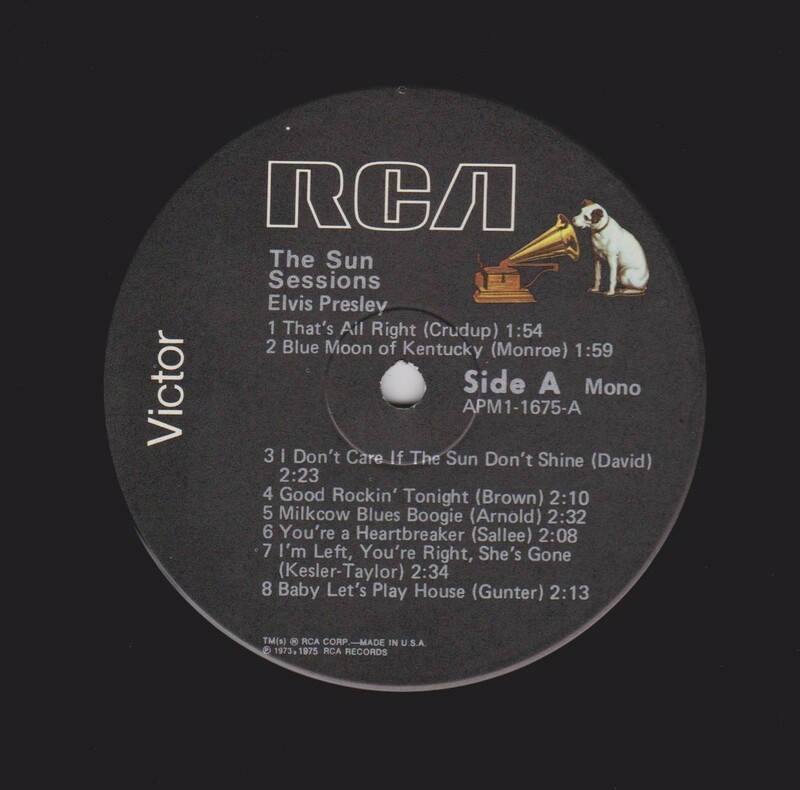 It was issued by RCA Records in 1976, and had been issued and charted as The Sun Collection in the UK the previous year. It features liner notes by Roy Carr of the New Musical. ​​The album features most of the tracks recorded at Sun studio by Sam Phillips, the head of Sun Studios. It includes "That's All Right (Mama)" one of the few recordings regarded as "the first rock and roll record." Phillips said that Presley was rehearsing with his band, Scotty Moore and Bill Black, when Presley started singing the song, a blues song written by Arthur "Big Boy" Crudup. Phillips said that the version of the song was what he was looking for when he signed Presley, and turned the tape recorder on. 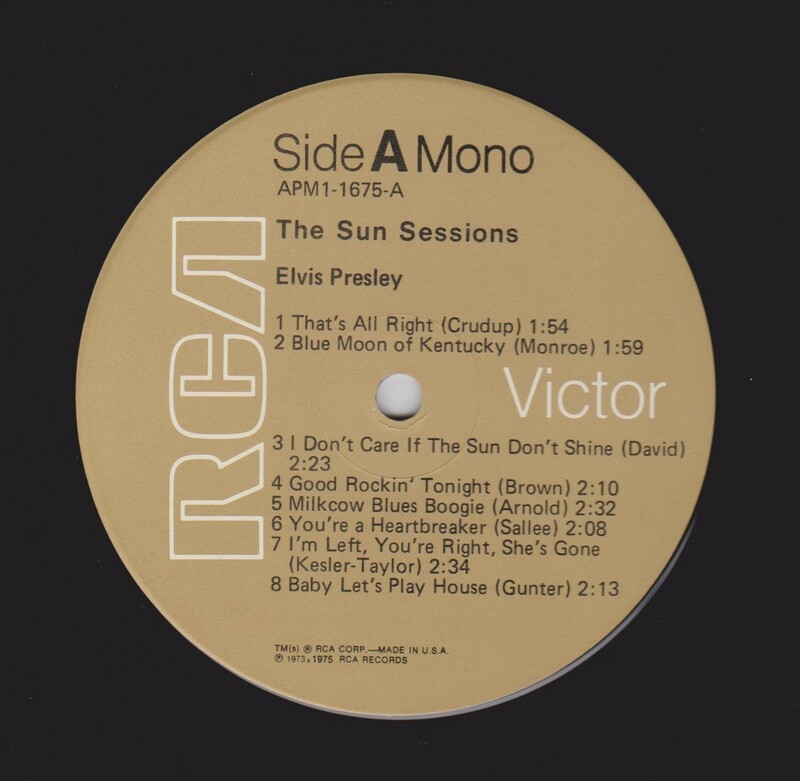 Elvis recorded more than 20 songs at the Sun studio, including some private recordings. Of these, 15 appear on this album. 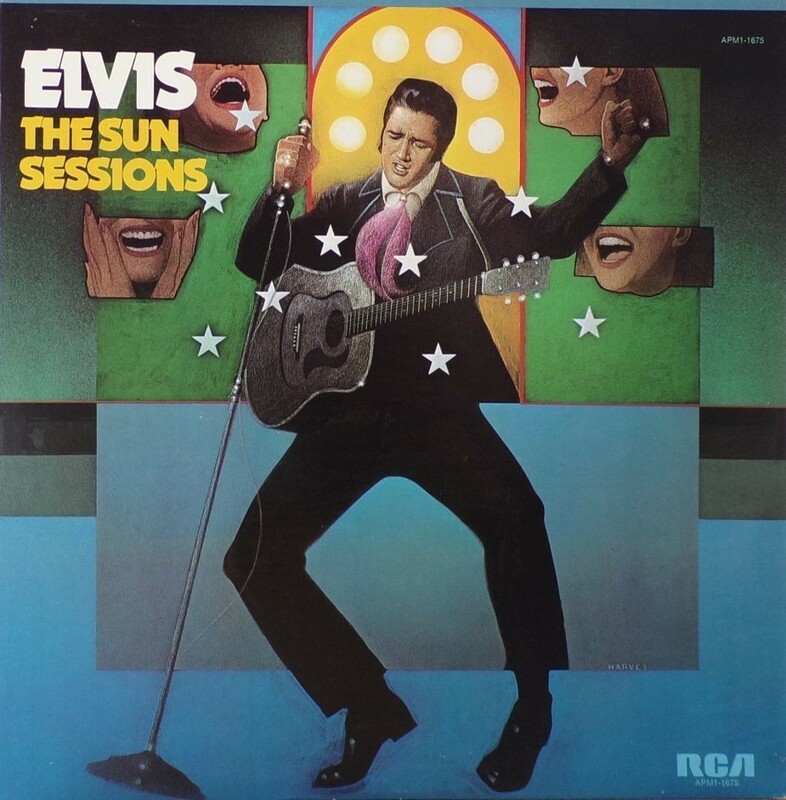 "When It Rains It Really Pours"
​The Sun Sessions was released in March 1976 and reached #76 on the pop and #2 on the country charts. The single "Baby, Let's Play House" combined with "I'm Left, You're Right, She's Gone" reached #5 on the country charts in 1955. Also, RCA Victor saw that Elvis was rapidly building a reputation for his live performances. They offered Sun Records $35,000 to buy out Presley's contract, and the rest is history. In 2003, the album was ranked #11 on Rolling Stone magazine's list of the 500 greatest albums of all time. In 2001, the TV channel VH1 named it the 21st greatest album of all time. Allmusic rates it as five stars, saying "it collects his first, and arguably most important, recordings into one convenient package. Who doesn't need this in their record collection?" The Rock and Roll Hall of Fame's 500 Songs that Shaped Rock and Roll included two tracks from the album: "Mystery Train" and "That's All Right." 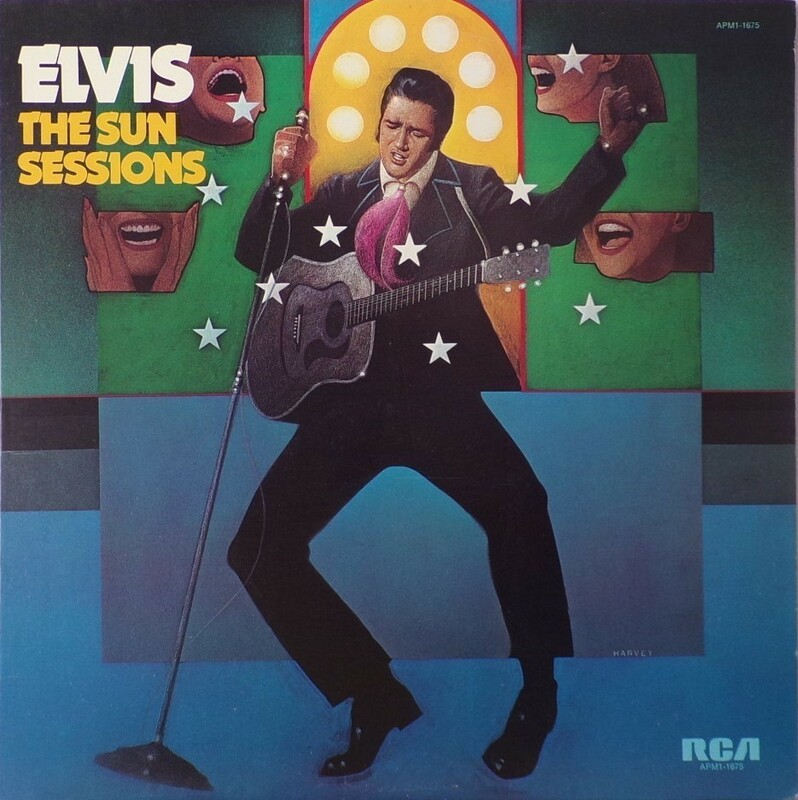 In 2002 The Sun Sessions were chosen by the National Recording Registry of the Library of Congress to be included in its archives given their importance to the development of American popular music. Front Cover : Photo of Elvis. Title top left. Catalogue number top & bottom right. 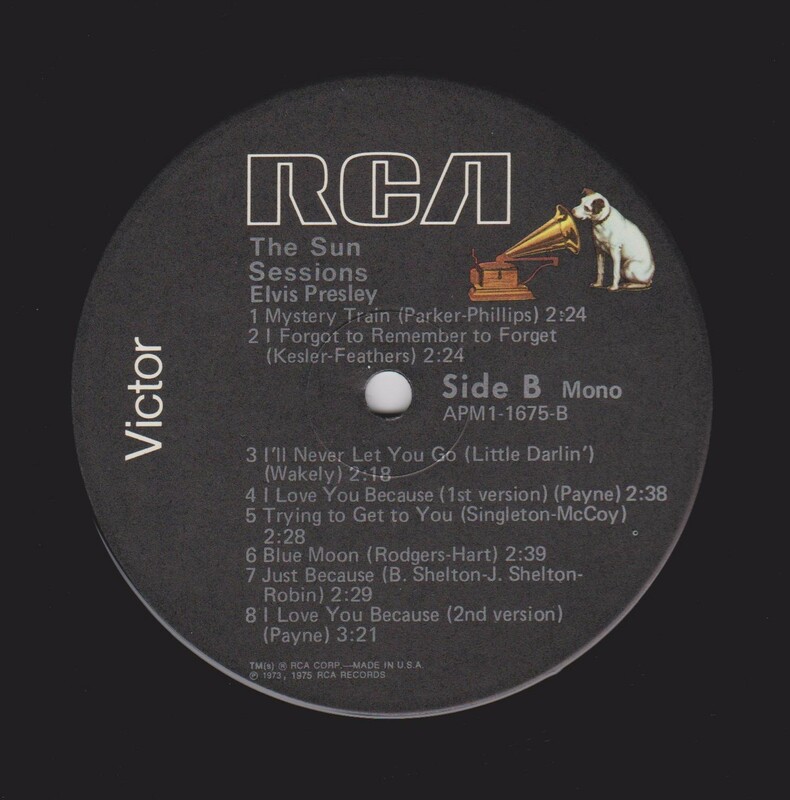 ​​Rear Cover : Text with history of the Sun Sessions. Catalogue number top right. Printed in U.S.A. bottom. Side A : Mono at top. Side B : ​Mono at top. 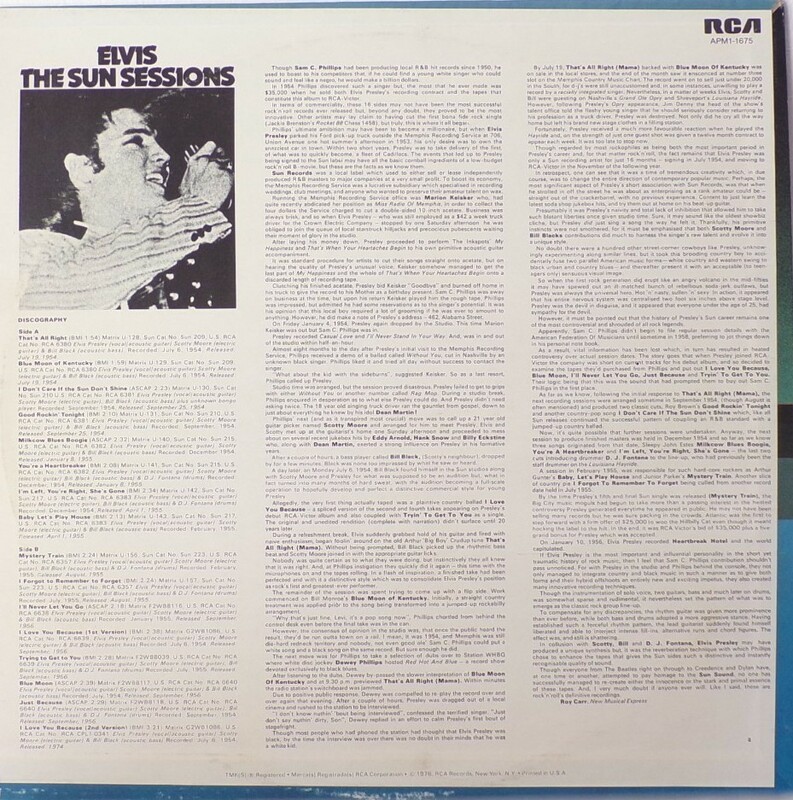 *NOTE* This album is the very first Elvis album to feature "I Don't Care If The Sun Don't Shine", which was only previously issued as a single. 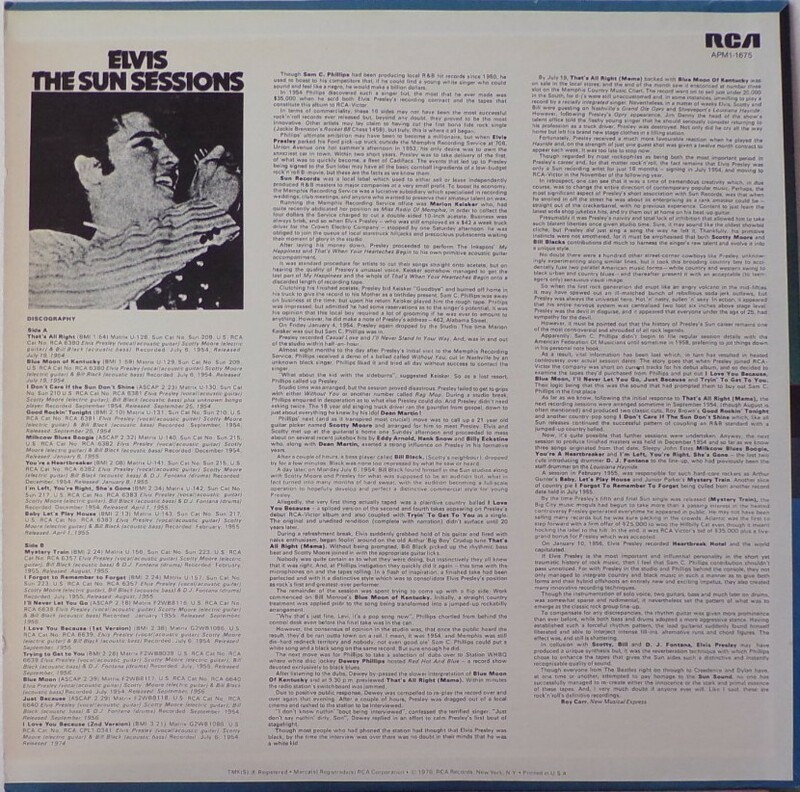 After more than 20 years, "The Sun Sessions" marked the song's official debut on LP. Label : Black. Flexible vinyl. Side A : Mono centre side right. Side B : ​Mono centre side right. *NOTE* Number "2" bottom right on rear cover.